WWE has had some game changing years in its illustrious history. Despite the falling television ratings and sudden suspension of their top star, 2016 still promises to be a significant year. But despite all of the promise, is it realistic to expect a third boom period for the company? In the summer of 2015, WWE was pretty much following its own tried and tested blue print. Seth Rollins was champion but John Cena remained the undoubted star of the weekly shows. The Money in the Bank match, so often a reflection of the contemporary mid card depth, included long term stars such as Randy Orton, Kane and Sheamus: solid yet unspectacular hands. Legends like Brock Lesnar, The Undertaker and Sting were still relied on as the PPV draws. whilst the Network was throwing out some interesting specials, overall the product felt very familiar, too comfortable. Raw remained the bread and butter show whilst Smackdown was weekly filler. It was business as usual. Things feel far less comfortable and predictable now. New names are slowly being integrated at the top of the card as veterans fade into the background. The mid card is vibrant and youthful, with NXT demonstrating that quality wrestling sells. Raw and Smackdown will soon both go live, possibly as equals, while the Network may soon deliver two monthly specials. WWE is, for what feels like the first time in a long time, trying to really shake up the product. In recent years, the company has taken huge risks in a business sense (undercutting traditional PPV revenue by crossing over to digital streaming represented a huge gamble for the Fed) but now it is extending that sense of adventure to the realm of its televised universe. In the past, Vince McMahon has shown form for breaking from the received wisdom and changing tact, often achieving spectacular results. His business has been reshaped and revitalised significantly at least twice before but could we really be about to witness the advent of the third major boom period in company history? In the mid-1980s Vince McMahon set about changing not just his company but the whole industry. 1985 was the year when his vision became most apparent. On re-watching Wrestlemania I, you can almost see the product evolve within the course of just two hours. On his first true super card, a show that would soon usher in the era of PPV, the old school vibe of the dimly lit, no-thrills undercard is soon overshadowed by the cartoony pomp and ceremony of the main event: as celebrities amassed at ringside, larger than life superstars took to the stage following elaborate entrances. Sports entertainment was born and McMahon and Hogan’s WWF was launched into the pop culture stratosphere. The move from regional to national enterprise, the commercial deals with strange bedfellows such as MTV and the ruthless talent raids created a television, live event and merchandise juggernaut. Fast forward to the mid-90s, and that boom was long gone. Short of stars and on the losing end of a vicious ratings War with WCW, McMahon changed track again. Adopting a severe tonal shift and switching from PG to TV 14, and pushing new stars, the refreshed WWF again grabbed the world by storm, delivering record ratings on cable television. Buoyed by the huge success, Vince added a second significant weekly show in the form of Smackdown and floated the company on the stock exchange to become a billionaire. Wrestlemania 17, the end of this golden age, drew 1 million buys in North America to become the most successful domestic PPV of all time. Whilst the 80s and 90s both delivered spells of reinvention that enabled the company to reach untold heights, the noughties failed to provide similar growth. Undoubtedly Vince made some attempts to reshape the WWE, firstly in 2002 with the original brand split and secondly in 2008, when he reverted to PG (admittedly a move more concerned with advertising and licencing than rejuvenating the on screen action). Now in 2016, it seems the time has finally come for the next big reshuffle. Television ratings, in these digital times, are not as important as they once were but they still mean something, hence the time and money being invested in the brand extension. Most would expect some spike in ratings, especially for Smackdown, but this in itself won’t restore the company to its former glory. Splitting the brands is a good start, getting more eyes on certain talents whilst avoiding over exposure for others but it does not amount to the policy shifts that prompted the prior booms (just look at 2002 as evidence of that). However, there are other fascinating developments occurring that do suggest that the company will adapt to a changing world and reinvent itself once more. The key aspects of the 80s booms were risk taking and talent acquisition. After years of playing it safe, we are seeing Vince take risks again. The deal to allow Brock Lesnar to compete against Mark Hunt at UFC 200 is a gamble worthy of Vegas. Most MMA purists expect Hunt to knock Lesnar out, possibly reducing the legitimacy and appeal of WWE’s part time hard man. However, a win, or even a competitive performance, could ignite Brock’s relevance and provide a shot of adrenaline to his lukewarm act. The mainstream attention could mean that Lesnar’s Summerslam appearance has the aura of a celebrity cameo whilst the whole deal could also lead to the exciting in ring debut of Ronda Rousey. I’d wager this particular event would garner such publicity that any lowering of the aging Lesnar’s stock would be a fair trade. Certainly this is a braver McMahon, willing to take his chances. Just as the WWF expanded its touring in this era, now we have Raw, Smackdown and NXT all running shows internationally. The ambition is fierce and is borne out by the recent talent acquisitions. From Japan to Mexico to the Indies, WWE is once more aggressively pursuing the best talent. However, next month’s Cruiserweight Classic exemplifies a key difference: WWE now has a desire to work with other promotions, rather than sucking them dry. The links to Evolve, PROGRESS and RevPro enable them to monitor and develop talent, sensibly safeguarding their future by supporting the grassroots organisations they depend on. By the late 80s, WWF had the richest roster in its history, with World, Intercontinental and Tag Team ranks overflowing with experienced stars and up and coming youngsters. We may be in the process of seeing such a diverse talent pool built again. The 90s boom resulted from a celebrated stylistic change. Now I don’t expect a return to attitude anytime soon; PG is here to stay. But, things are changing in terms of the presentation. The 24 series on the Network takes us further behind the curtain than ever before; emotive clips of Seth Rollins and his real life ambitions and setbacks made their way onto Monday Night Raw. With kayfabe buried next to Katie Vick and heel heat largely a thing of the past, maybe the time has come to use real life personalities and scenarios to promote the worked matches. The traditional face-heel divide has long been on life support but more than ever audiences are encouraged to choose for themselves: exposing us to their real life trials and tribulations would support that choice. The dynamics of the industry are ever shifting and it may spark a resurgence in emotional investment. Furthermore, the women’s division is well placed to broaden WWE’s demographic appeal. It hasn’t been brilliantly booked over the last 12 months but it still boasts an ensemble cast that promises a brighter future. By potentially creating the biggest female stars in the history of the industry, WWE can reach new fans and sponsors, improving its public image and reach. 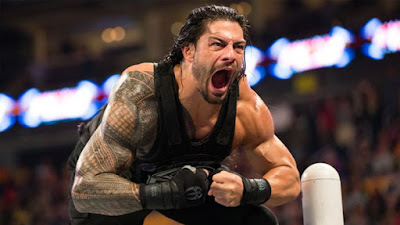 Indeed, while the group may not have a super-over male superstar ruling the roost as it had in years past (and chances are looking less likely that’ll be Roman), it does have an array of performers of both sexes that can share the responsibilities around. Being less reliant on one individual could be a positive going forward. Think of it as being like Leicester City; no major stars or divisive egos but a balanced team working towards a common goal. Truthfully, WWE might never reach the superlative heights of the mid-80s and late-90s again: such ratings in an increasingly digital world seem unlikely whist they may never infiltrate pop culture as they once did. However, the company will grow as long as it embraces innovation, imagination and risk taking. If Vince and his future successors are willing to exhibit the spirit of old, exciting times lie still ahead for wrestling fans.